Process ATM/Debit/Credit Card transactions, disputes, exceptions, applications and file maintenance forms. 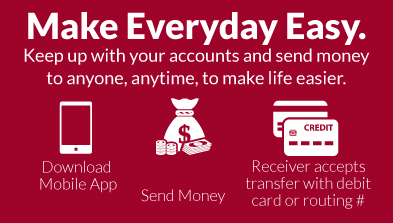 Process return debit cards, work lost/stolen report and transfer bonus points. Assume responsibility for the efficient, effective, and accurate performance of Automated – ATM/Debit/Credit Card Duties. Work with members regarding ATM/Debit/Credit Card problems, balance offsite ATMs, work with FiServ and FiServ EFT, ATM installations, card disputes and exceptions, and debit/credit card fraud. Balance and submit branch ATM balancing paperwork to accounting. Work with Loomis/Fargo and branches on ATM problems and balancing. Insure Automated ATM/Debit/Credit Card functions are efficiently, effectively, and accurately performed in accordance with established policies, standards, and security procedures. Cross sell Credit Union services at every opportunity. Maintain good business relations with members. Courteously and promptly resolve members' problems. Maintain good working relationships and coordination with area personnel and with management. Assist other Credit Union staff as needed. Complete all required reports and records accurately, thoroughly, and in a timely manner. Maintain and convey the Credit Union's professional reputation. Demonstrate a commitment to quality; be dependable and flexible. Follow all Credit Union policies, procedures and regulations. Present self in a professional manner (appearance, behavior and performance). Work as a team with other team members to reach set goals. Each individual is responsible for contribution to the overall goals of their department or branch. Knowledge of governing Federal regulations. Ability to operate standard office equipment, including but not limited to PC, adding machine and multi line phone. Must possess good typing skills. Ability to establish and maintain effective working relationships with employees and members. Ability to meet deadlines, multitask and prioritize work flow. Ability to troubleshoot, research and resolve problems. Ability to work as a team as well as independently to meet goals and objectives and to meet the needs of all members. Ability to be flexible and have a service oriented view to fulfill member, staff, and Credit Union needs. Able to routinely stand, sit; occasionally bend, stoop, and crawl; and rarely push/pull, lift or carry loads up to 25 pounds, drive as required to accomplish assignments. Movements frequently and regularly required using wrists, hands, and/or fingers. Average, ordinary, visual acuity necessary to prepare or inspect documents or products, or operate machinery. Ability to hear average or normal conversations and receive ordinary information. Work is typically done in the office at company’s principal place of business or branches. May be required to travel to various work locations, both local and surrounding counties. Basic understanding of ATM/Debit/Credit Card functions. Financial industry experience strongly preferred. Equal Opportunity/Affirmative Action Employer. D/V. Drug-Free Workplace. 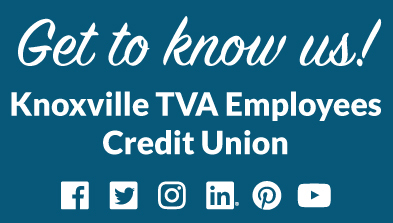 Knoxville TVA Employees Credit Union is an E-Verify participant.